Venus was once considered a twin to Earth, as it’s roughly the same size and is relatively close to our planet. But once astronomers looked at it seriously in the past half-century or so, a lot of contrasts emerged. 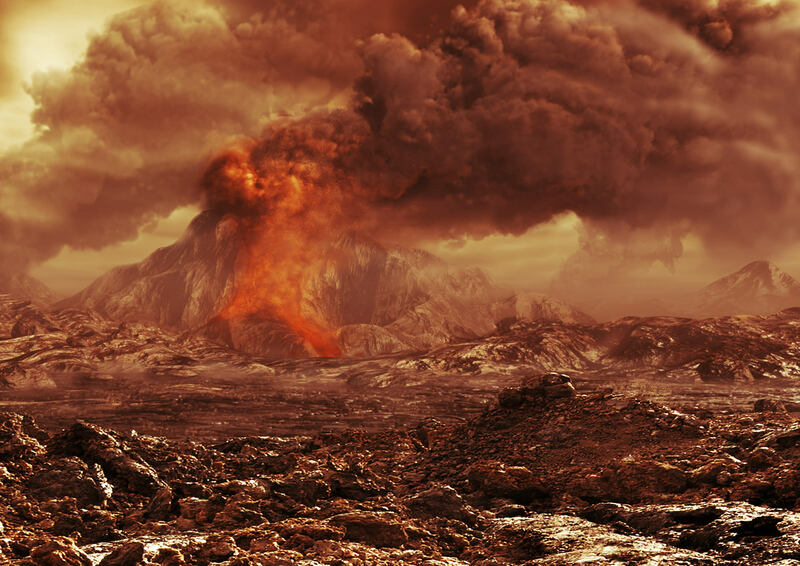 The biggest one — Venus is actually a hothouse planet with a runaway greenhouse effect, making it inhospitable to life as we know it. Here are some more interesting facts about Venus. You sure don’t want to hang around on Venus’ surface. The pressure there is so great that spacecraft need shielding to survive. The atmosphere is made up of carbon dioxide with bits of sulfuric acid, NASA says, which is deadly to humans. And if that’s not bad enough, the temperature at the surface is higher than 470 degrees Celsius (880 degrees Fahrenheit). The Soviet Venera probes that ventured to the surface decades ago didn’t last more than two hours. While you still couldn’t breathe the atmosphere high above Venus’ surface, at about 50 kilometers (31 miles) you’ll at least find the same pressure and atmosphere density as that of Earth. A very preliminary NASA study suggests that at some point, we could deploy airships for humans to explore Venus. And the backers suggest it may be more efficient to go to Venus than to Mars, with one large reason being that Venus is closer to Earth. The planet is completely socked in by cloud, which makes it extremely reflective to observers looking at the sky on Earth. Its brightness is between -3.8 and -4.8 magnitude, which makes it brighter than the stars in the sky. In fact, it’s so bright that you can see it go through phases in a telescope — and it can cast shadows! So that remarkable appearance can confuse people not familiar with Venus in the sky, leading to reports of airplanes or UFOs. 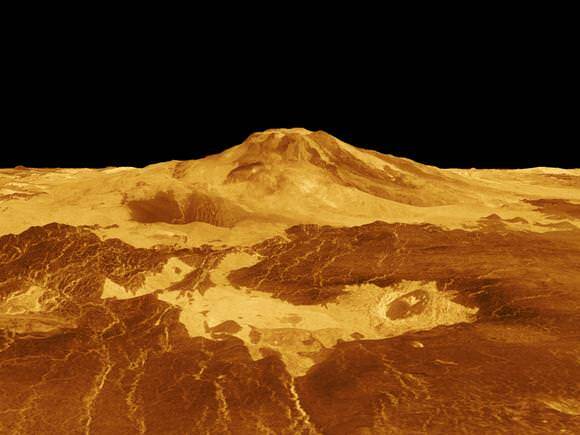 If you were to look at Venus with your eyes, you wouldn’t be able to see its surface. That’s because the clouds are so thick that they obscure what is below. NASA got around that problem when it sent the Magellan probe to Venus for exploration in the 1990s. The probe orbited the planet and got a complete surface picture using radar. Venus not only rotates backwards compared to the other planets, but it rotates very slowly. 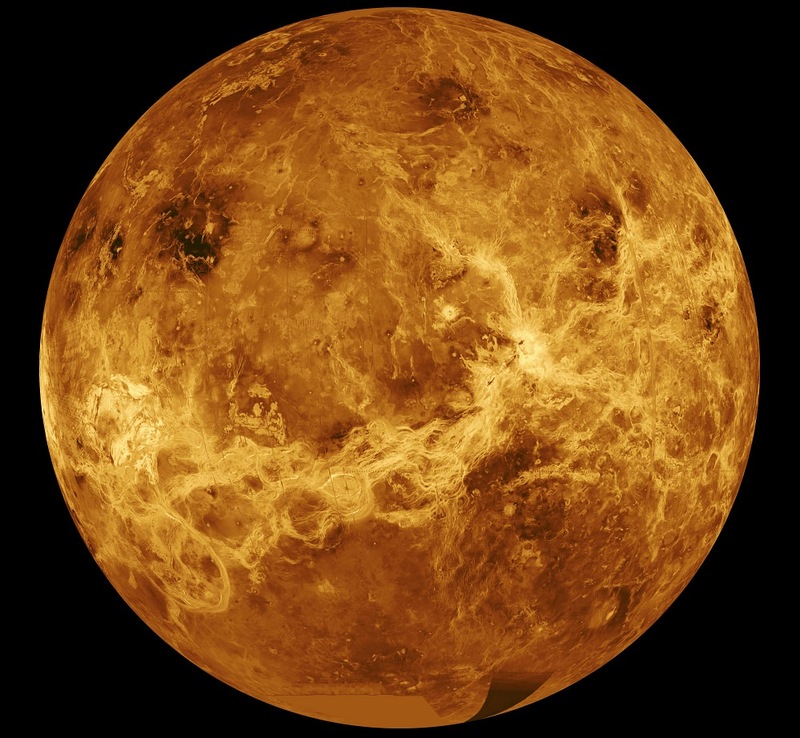 In fact, a day on Venus (243 days) lasts longer than it takes the planet to orbit around the Sun (225 days). Even more strangely, the rotation appears to be slowing down; Venus is turning 6.5 minutes more slowly in 2014 than in the early 1990s. One theory for the change could be the planet’s weather; its thick atmosphere may grind against the surface and slow down the rotation. The two planets closest to the Sun have no rings or moons, which puts Venus in the company of only one other world: Mercury. Every other planet in the Solar System has one or the other, or in many cases both! Why this is is a mystery to scientists, but they are doing as much comparison of different planets as possible to understand what’s going on. We briefly mentioned the Venera probes that landed on the surface, but that’s not the only unusual spacecraft activity at Venus. In 2014, the European Space Agency put an orbiter — that’s right, a spacecraft not designed to survive the atmosphere — into the upper parts of Venus’ dense atmosphere. Venus Express did indeed survive the encounter (before it ran out of gas), with the goal of providing more information about how the atmosphere looks at high altitudes. This could help with landings in the future. 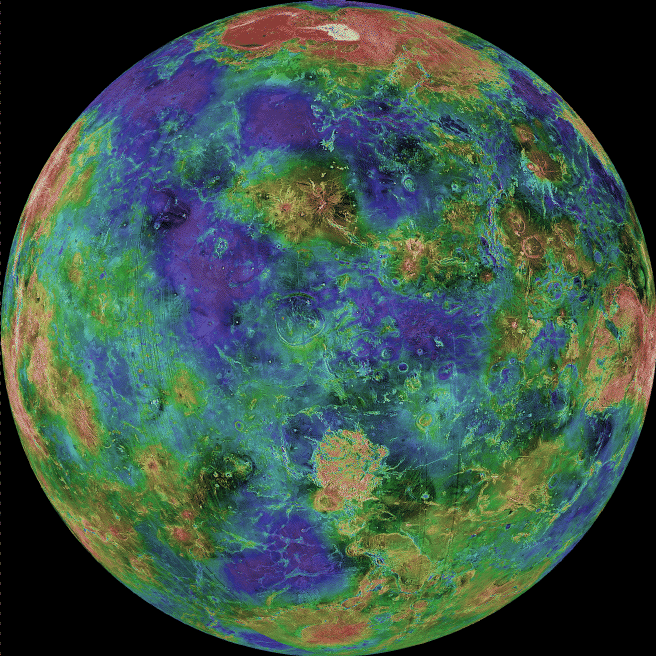 As you can see, Venus is an interesting, mysterious, and extremely hostile world. With such a corrosive atmosphere, such incredible heat, a volcanically-scarred surface, and thick clouds of toxic gas, one would have to be crazy to want to live there. And yet, there are some who believe Venus could be terraformed for human use, or at the very least explored using airships, in the coming generations. But that’s the thing about interesting places. Initially, they draw their fair share of research and attention. But eventually, the dreamers and adventurers come. Here’s the latest view of the mass of swirling gas and clouds at Venus’ south pole. The Venus Express’s Visible and Infrared Thermal Imaging Spectrometer (VIRTIS) has been keeping an eye on this polar vortex since the spacecraft arrived and discovered this huge storm in 2006. During the mission, VIRTIS has seen the vortex constantly transform, morphing from a double vortex into a squashed shape and into the eye-like structure seen here. This image was taken in April 2007 but was just released this week. 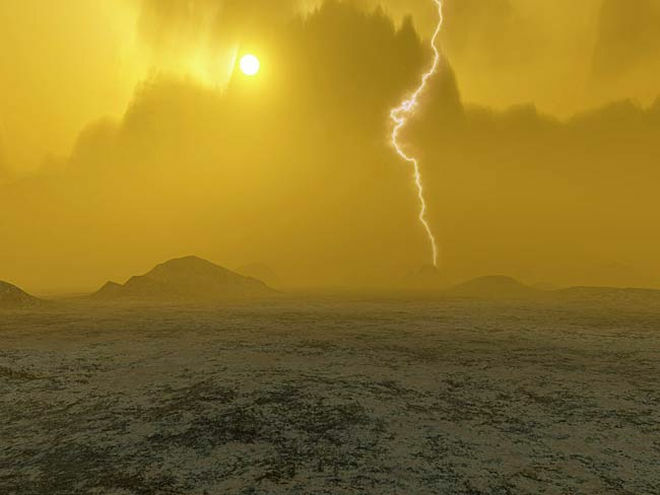 Venus has a very choppy and fast-moving atmosphere, even though wind speeds are much slower at the planet’s surface. At the cloud tops about 70 km above the surface, winds can reach 400 km/h. 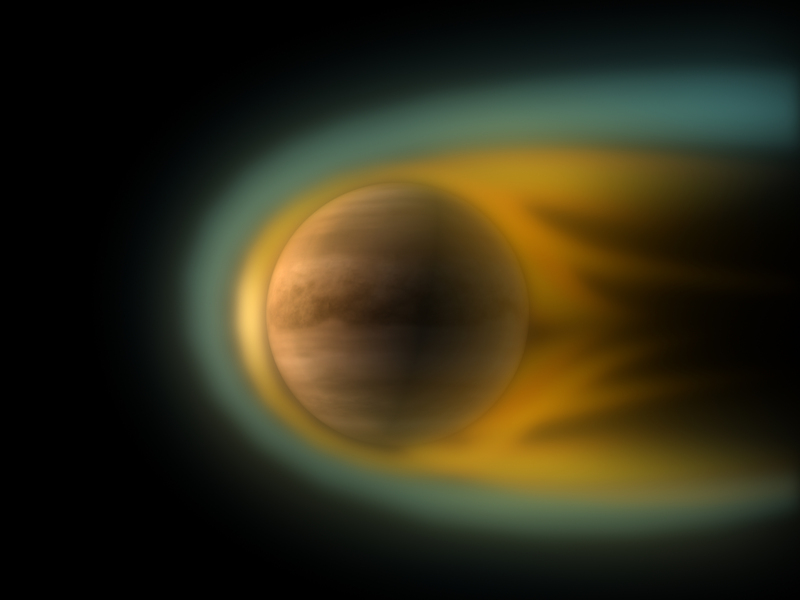 At this altitude, Venus’ atmosphere spins about 60 times faster than the planet itself. Compared to Earth, this is a dizzying speed: even Earth’s fastest winds move at most about 30% of our planet’s rotation speed. These polar vortices form when heated air from equatorial latitudes rises and spirals towards the poles, carried by the fast winds. As the air converges on the pole and then sinks. High velocity winds spin westwards around the planet, and take just four days to complete a rotation. This ‘super-rotation’, combined with the natural recycling of hot air in the atmosphere, would induce the formation of a vortex structure over each pole. A video of the vortex, made from 10 images taken over a period of five hours, can be seen here. The vortex rotates with a period of around 44 hours. 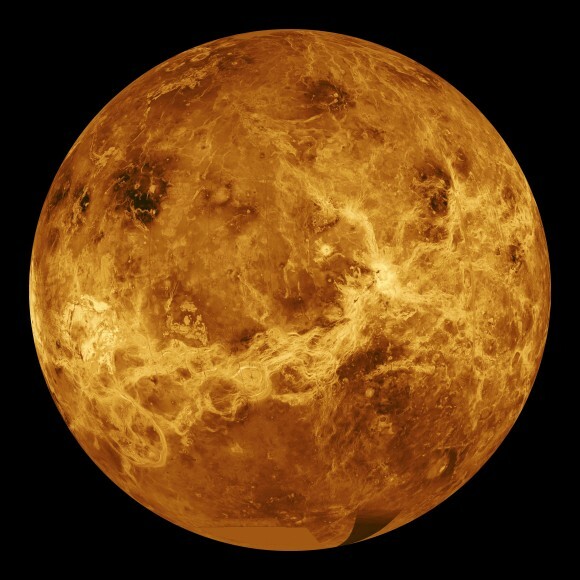 After surviving an eight-year mission and a daring plunge into part of the atmosphere of Venus, a plucky spacecraft orbiting the hothouse planet is finished its mission, the European Space Agency declared. Venus Express can no longer communicate consistently with Earth. The spacecraft itself will fall into the atmosphere and likely be destroyed in the coming weeks. “The available information provides evidence of the spacecraft losing attitude control,” stated Patrick Martin, ESA’s Venus Express mission manager, who added it was because the machine exhausted its fuel as controllers tried to raise it to a more stable altitude above Venus. The demise of the mission, in a sense, began when controllers chose to bring Venus Express into the atmosphere this summer. The goal was not only to learn more about Venus, but also to get information on how future spacecraft could “surf” the atmosphere when, say, landing on the planet. 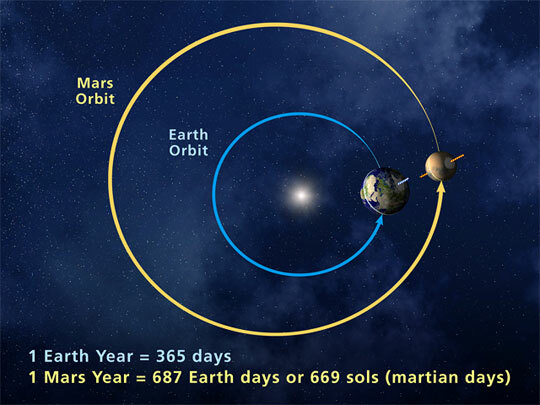 The orbit was reduced to about 130 km to 135 km (80.7 miles to 83.9 miles) above the planet at its lowest approach, which took place in earnest between June 18 and July 11. Controllers then did 15 small thruster burns, which raised the spacecraft’s minimum altitude to 460 km (286 miles). But it wasn’t a stable orbit, with the spacecraft continuing to spiral into the planet as gravity pulled it down. ESA decided to again try raising the spacecraft’s altitude between Nov. 23 and Nov. 30, but lost consistent contact with the spacecraft Nov. 28. It appears Venus Express is out of gas, the agency said. It’s hard to know exactly when the spacecraft will die, but it serves as a good example of how space recycling can end up making an interesting mission. The design and some of the instruments on Venus Express were based upon those used for other missions, particularly Mars Express and Rosetta. And the lessons of the spacecraft will certainly be used in future missions. Tomorrow, we’ll run down some of the highlights of the mission.